Tag Archive | "speech language hearing association"
Some hearing loss in children may be caused by a virus that mothers contract while they are still pregnant, a new study stated. In children that have a certain degree of hearing loss, 9 percent of them had acquired cytomegalovirus or CMV during birth. This report is stated in a new study in the Archives of Otolaryngology-Head and Neck Surgery. Cytomegalovirus is a common virus that causes harmless infection. However, people with weak immune system can get sick from it. Infections can be prevented if one does proper hand washing, especially if dealing with sick people, as well as toddlers who oftentimes carry the disease. Mothers who had contracted the disease before pregnancy have relatively small risks to pass it on their children. However, mothers who have acquired the disease during pregnancy have higher chances according to the study; but, it is still quite improbable that their children will get the CMV-related hearing problem. 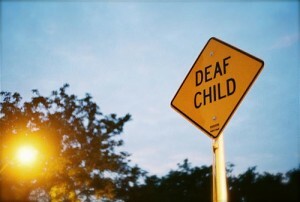 An average of 1,000 children experiences some severe kind of hearing loss. This means they can not hear usual conversations. This is according to the American Speech Language Hearing Association. In fact, they said that half of the cases are often hereditary. Nearly 25% of women acquire CMV when they are pregnant, during the time it is very dangerous for the baby. CMV is also associated with some developmental issues in children such as mental retardation, as well as cerebral palsy. But, hearing loss is the most common problem. The study examined 354 children who were tested for CMV at birth. The kids were around 4 years and older. All of them had hearing loss, but 34 of them had experienced CMV through their mothers. Researchers do not know the reason why exposure to CMV in utero can cause hearing problems in children later, but the virus might be doing some kind of damage, said Karen Flower, who studies childhood infections at the University of Alabama in Birmingham.